When I was asked to provide this keynote address, I was given a copy of Justice Joe Williams’ paper titled “Can you see the island”? That was in May. At the time I was preparing for my Independence address and I was mulling through how best to frame my message. After reading Joe’s paper, not only did I love it, but I knew I had my Independence theme. Reflecting back on it, it seems more than fortuitous that Joe’s paper should come to my attention right at that time. As Samoans, we have a belief that all things happen for a reason. I was meant to be given Joe’s paper right before Independence, and I was meant to speak to it again here today. I wish to thank the organisers for the opportunity to share with you some thoughts on what I see to be ‘the island’ that Joe so provocatively describes. I wish to share, implicitly, where I believe this island to be and why. As I have said elsewhere I am not a lawyer, nor am I judge or jurist. My main qualification for speaking about the law – namely state law – is my experience as a litigant in our Land and Titles Court. Connected to this is a lifelong interest in and commitment to the development of Samoan customary law and indigenous knowledges, i.e. our aganuu and agaifanua. This is where I wish to focus my address. It has been said that mental health is the poor cousin of physical health. The same has been said of custom law. In today’s world custom or customary law is believed to be the poor cousin of state law (including common law). In fact the late Dr Kenneth Brown, former Magistrate and Public Solicitor of the Solomon Islands, well over a decade ago, had suggested that without proper refreshing custom law might as well be an ‘endangered species’. In posing the question, “Can customary law survive in direct competition to state and imported jural models”?, he replied: “The answer is only positive if a fresh approach to customary law is adopted”. Such an approach, he argues, “involves firstly the acceptance [of] a dynamic view of both customary law and common law”. As “[b]oth”, he says, “embody values for the proper ordering of society”. And, that “[f]rom these premises a blueprint for the evolution of an indigenous jurisprudence can [then] be designed”. If I may say, it seems to me that the creation and actioning of this blueprint is the primary challenge for your respective societies. In 2007 I was asked to provide a paper that could help guide discussions on the development of a Samoan jurisprudence.6 I have drawn on it several times since then. Today I draw on it again for it may contribute to a discussion on what it is that is Samoan in our search for a Samoan jurisprudence. I reiterate my thoughts on two key concepts in particular. These are the central concepts of tulafono and tuā’oi. Tulafono is the Samoan term generally used by Samoans in Samoa today to refer to the law or laws of Samoa. The images that usually come to mind are either of parliamentary statutes or of a court with police officers, judges, lawyers, defendants, and so on. Rarely would someone imagine tulafono to refer to ‘wise heads coming together in council’. But this was what was more commonly meant by the term not so long ago. Tula is the respectful word for a chief’s head. A chief’s head is considered sacred or tapu for it is the place where wisdom and discernment resides. Fono is the word for a meeting or council. 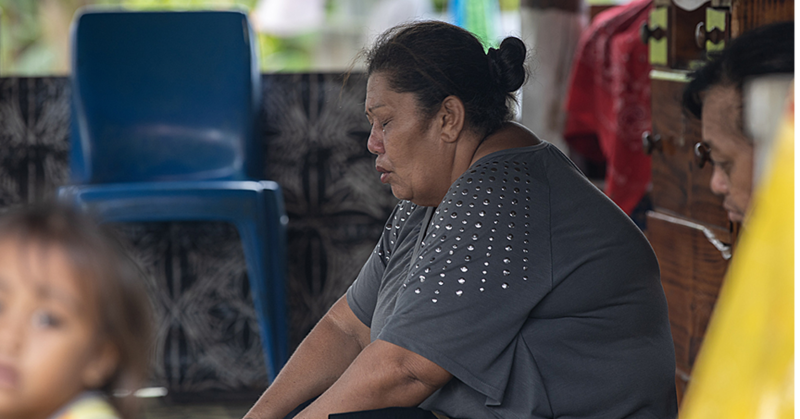 In earlier times the fono was assumed to not only involve a dialogue between the chiefly members of the council but also a dialogue between them and God. Embodied within the concept tulafono of old was therefore a deeply held conviction that law-making was a deeply spiritual exercise and if that spiritual essence was debased in any way there would be consequences. Also present within the concept of tulafono is the idea of employing due process or a proper order in the carrying out or addressing of things. Samoans are well known and often bemoaned for their insistence on protocols. 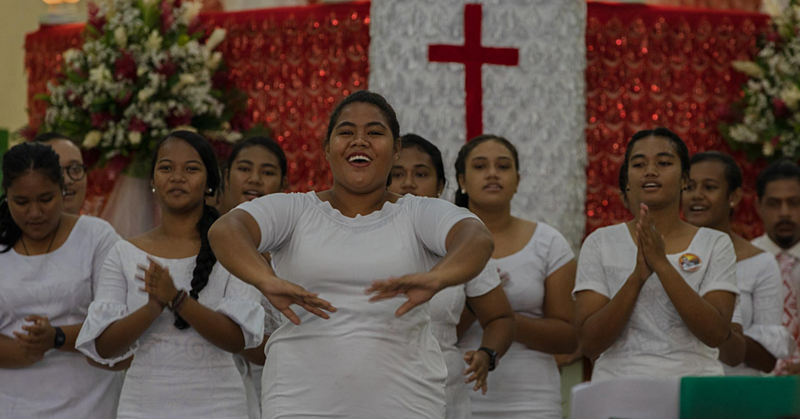 This can be linked to the concept of tofi, the idea and belief that Samoa and Samoans have already been divinely designated. Tofi is a divine designation. It bespeaks a role that assumes both rights and responsibilities and is often applied to those who are seen to have natural God-given talents and abilities. Tofi assumes physical, intellectual and spiritual compatibility. It connects with Samoan ideas of agavaa and faasinomaga, i.e. to ideas of being a master craftsman and to the notion of a person’s identity. Both are divinely designated. Within the tulafono concept lies the process for law making. As I have said elsewhere, in the customary context there were six main steps in this process. Step 1: Tuvao Fono. This was the first stage of the tulafono process. It was where a tula would ‘break new ground’ or raise new issues. Tuvao literally means ‘to step into the forest’. Step 2: Lo’u Fono. This was the stage where an issue raised in step 1 would be explored and those who had the right to critique would do so. Lo’u literally refers to the ‘bending of a branch’. Step 3: Lauga Togia. This was the stage where those who were given the right to make interventions would do so. Togia means to designate according to tradition and custom; lauga is the word for a speech or for the act of speaking. Step 4: Faai’u Fono. This was the stage where those who had the right to conclude the fono could do so. But if they decided they wanted to revisit an issue and begin the deliberations again they could also do so. They would then go through the same process. Faai’u means to end or conclude. Step 5: Faaola Fono. This stage involved the intervention of a tamālii or high chief to revive the fono after it had been concluded. It is the right of the tamālii chief to do so rather than the tulafale (orator) chief, because he, not the tulafale chief, is responsible for discerning the tofā mamao (i.e. ‘the wisdom of the long view’). Faaola literally means ‘to give life’. Step 6: Tulafono. This is the last step in the process of customary lawmaking. It is at this stage that a rule or law – a tulafono – that has been deliberated on is formally pronounced as such. These are then relayed to all members of the village, land or family as tulafono – the outcomes of this process. The outcomes of this tulafono process are therefore the custom laws embodied in our aganuu and agaifanua. Aganuu refers to that body of tulafono that guides communal conduct relevant across Samoa. Agaifanua is that body of tulafono that guides conduct specific to the land or fanua to which one belongs. Here fanua refers to both land and placenta. It alludes to the old ritual of burying one’s pute (umbilical cord) and/or placenta (fanua) in the land of one’s birth. The term aga refers to conduct and to the thinking and values behind that conduct. It is a term usually accompanied by the concept of “tu” as in “tulaga vae”, meaning the place where one stands. The two terms are often used together to describe custom, i.e. tatou tu ma aga or our customs. All of these meanings come alive when we unpack our words, when we unpack what is meant by aganuu and agaifanua and their relationship to the concept tulafono. The same can be said about tuā’oi. Tuā’oi is usually translated to mean ‘a boundary or boundaries’. It is a term that evolved out of the maxim: “i tua atu o i e le au iai lau aia po o lau pule” (your rights – aia – and authority – pule – do not extend beyond this point). Boundaries exist within every relationship or vā. They can be physical, social, spiritual, intellectual and so on. Tulafono exist to help protect the tuā’oi within these relationships or vā. Like tulafono, there is within Samoan understandings of tuā’oi a deeply held conviction in its spiritual dimensions. If a tuā’oi was breached consequences would ensue. This reflected a total belief in the interconnectedness between the spiritual and physical worlds. I want to tell a story about a character in Samoan history, King Afoa, who after arguably breaching the tuā’oi between himself and his brother, himself and his tulafale, and himself and God, became known as King Afoafouvale – literally Afoa who rebels for no good reason (fouvale). The story is set in an environment and during a time in pre-contact Samoa when Samoan customary law operated without foreign imposition. The values that underpinned Samoan customary law – the tulafono to which Afoa was subject – were premised on the aganuu and agaifanua of his day. Afoa was the son of the first Tupua, who was in turn the adopted son of Muāgututi’a. All three, according to Samoan historical records, held the four pāpā titles. This gave them the right to claim kingship over Samoa. Afoa was the first male issue of the first formal marriage or usuga of his father to a lady from Palauli, Savaii. The marriages of high-born were in those days, highly political events. They were organised largely by leading tulafale seeking to improve the lot of their district or itumalo. Tupua’s second marriage also produced a son to a lady from Tuamasaga. This boy was named Galumalemana after the two leading tulafale of Leulumoega, the capital of A’ana, both of whom were present at his birth: namely, Galu (Alipia’s everyday name) and Lemana, hence Galumalemana. The story goes that upon succeeding his father and becoming the holder of the four pāpā titles, Afoa sets up residence in the capital of Atua, which is Lufilufi. Meanwhile, A’ana treated Galumalemana as if he was the rival King. The issue came to a head and Afoa decided to assert his authority by declaring military intervention should Galumalemana and his supporters dare to continue. Galumalemana rallied his supporters in preparation for battle. The two brothers and their armies met in Falealili and were poised for war. However, instead of proceeding Galumalemana requested a parley. He wanted to talk. He wanted to surrender and to seek forgiveness. And he did so in front of all present. Afoa, still very angry, refused the gesture. This alienated his principal orator chiefs, especially Talo of Falealili. Talo felt strongly that there was no more cause for bloodshed as Galumalemana was prepared to make obeisance. After all were they not brothers? Seeing that the King was still adamant on war, Talo came forward, broke a spear and said: “There is no point in wasting life unnecessarily. Here is a piece of spear for each of you, now go to Maauga and settle the issue by personal combat”. Talo’s ability to do this not only highlighted the power held by high ranking tulafale, but also, notwithstanding political intrigue, suggested that even in war there were codes or tulafono relating to the vā and tuā’oi that ought to prevail. Afoa fought his brother in personal combat and lost. He then became known as Afoafouvale and Galumalemana became King. As part of his defeat Afoafouvale was banished to another island, the island of Tutuila, now part of American Samoa. From Tutuila Afoafouvale composed his famous chant, simply known as Afoafouvale’s song or solo a Afoafouvale. The chant speaks of many things, but particularly of the pain of lost glory, of losing his island, and of losing it for apparently no good reason. Did I dream or was I talking in my sleep? Am I oiled with fragrant u’u? Or is it with pani? Am I sleeping between the ladies? Are there girls making coy noises in front of boys? Are there presentations of fine mats? Or is it presentations of food? Is there a presentation of a sacred fish? That determines the credentials of a master fisherman. And the sigano which adds to the aroma of many fragrances. But if you cast your net outside, you present the catch to Mata’afa. When can I travel back to the island? Like Tigilau who perished because of his desires. Moe moe lava ‘ou te’i a’e! Pe sa ta miti ‘ea? Pe ta te ala valevale? Po ‘ua ta ’u’u? ‘Ua ta moe i le va o tama’ita’i? Pisa teine i le va tama? Pe ni taliga toga ‘ea? 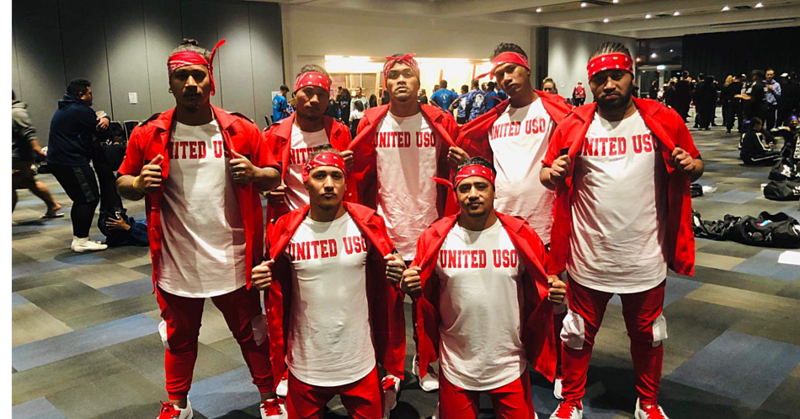 Pe ni faiga taumafa? Po ‘ua toa’i se i’a sā i le meaga? Le fili nei se o agava’a? Le Mulinu’ū ma le Nu’uausala. ‘A puni loa a’e i le Mata’afa. ‘Aumai e taumafa ali’i ‘a ta’alolo. Tali molia ita i le motu. Fai mai le teine ‘o Tulifaunaso’o. ‘A e gase Tigilau i siona loto. I have provided both the English and Samoan versions of Afoafouvale’s chant as recorded by Kramer. I have also provided for your evaluation my English translation along with Kramer’s English translation. I did this because the exercise of capturing context and nuance in our translations, especially of our core values and cultural concepts, is of the utmost importance. We need comparative examples. We need to take time to do this translation work, to unpack and spell out in precise terms how our core values and cultural concepts are carried, articulated, imaged, represented and evidenced in the languaging of our chants or songs, in the telling of our histories, in the naming of our places, people, residences, and in the framing of our legal theories, and so on and so forth. Our Samoan laws have borrowed significantly from the laws of Aotearoa New Zealand. Getting the translation right is essential to ensuring accuracy and continuity of meaning. In law where language is power getting the translation wrong can have dire consequences. There are no shortcuts in this work. It is both time and resource intensive. What is needed, if I may say, is, a “well-funded, meticulous and qualified research [programme] into the evolution of changing customary practice”, as advocated for by Kenneth Brown.21 Maori have led the way in this for our region. The coming together of your two societies can therefore prove quite beneficial for Samoa in this regard. I look forward to seeing how this develops. Aotearoa and Samoa share common cultural values. We share a genealogy and oral histories. I wish to share one more story before ending my address. This is a story about our common ancestor Lata (in Samoan) or Rata (in Maori). Like most oral traditions there are many versions to the Lata/Rata story. I will tell this Samoan version and you can compare it with yours. Lata lived in Sala’ilua, Savaii, Samoa, with his parents. One day his father was killed by another in Savaii and before Lata could catch him he had escaped in a fast canoe. Lata decided the he would build himself a fast canoe also. He found some suitable trees in the forest and cut these down to make his canoe. He worked hard and by sun set his canoe was nearly finished. He went home to sleep. When he returned the next day he was shocked to find that the canoe was gone. The trees were standing again as if he hadn’t cut them down. He was puzzled. Anxious to set sail before his father’s murderer got too far away, he set about cutting down the trees again and worked all day. Again just before sunset he left his canoe and went home to rest. He returned the next day to find the same thing had happened. Mystified and frustrated Lata set about cutting down the trees again and worked all day till his canoe was finished. This time instead of going home he hid nearby out of sight to find out what was going on. Soon he saw female spirits appear. They danced and sang. As they danced and sang the sticks, branches and leaves of the trees flew up and all of a sudden the trees were standing again. Lata appeared out of his hiding place astounded. The spirits asked him why he was cutting down their children. He told them why. “But have you sought pardon from the God of the forest before cutting them down”, they asked? Lata realising what he had done wrong was remorseful. He promised to seek forgiveness from the God of the forest the next day and to make an offering. The spirits saw that Lata was indeed truly sorry. When Lata returned in the morning he found his canoe waiting for him. Overjoyed he sought the forgiveness of the God of the forest and made his offering as promised. From that day forward Lata never forgot the lesson of the spirits. He became master navigator and his voyages around the Pacific became legendary. Like most good Samoan fagogo or tales there is a mixture of fact and fiction. The factual bits keep it real enough and the fiction offers just the right drama and magic to capture childhood imaginations. The moral of the story is, nonetheless, quite clear throughout. Lata was blessed with navigational prowess because he respected the tuā’oi (sacred boundaries) and tulafono (sacred laws) of the forest. He showed in his true remorse acknowledgement of the feagaiga or covenant between the forest, the sea, the animals, heavens, and stars – the whole of the environment – and people. This respect and acknowledgement is a central and shared tenet in our indigenous Polynesian cultures. It is and ought to be equally central in the knowledge sources that inform our indigenous jurisprudence. In Samoan this is captured by the word “agavaa”. Afoavouvale made reference to agavaa when he referred to the credentials of a master fisherman. Agavaa, like aganuu and agaifanua, implies the application of codes of conduct. Within these codes or “aga” is the imperative to protect the nuu (in the case of aganuu) or the fanua (in the case of agaifanua) or the vaa (i.e. the boat in the case of agavaa). The assumption is that these things are part of one’s inheritance (including one’s family) and in order to protect them there must be rules, codes, customs, and/or guidelines in place to do so. The concept of agavaa is today more commonly understood to refer to having good skills and abilities, especially in leadership; to the idea of being a master craftsman. Reverend Pratt recorded in 1893 the meanings: “1. lit. the ‘conduct of a canoe, its quality and behaviour in the water. ‘Ua fili e le tai se agava’a. 2. [Agavaa is] Applied to the conduct of men”.22 To speak of the ‘conduct of a canoe’ in this way, Pratt, quite unintentionally I’m sure, alludes to the Samoan belief that a boat (vaa), like land (fanua) and people (nuu), have a life and therefore a soul. In the Samoan indigenous reference the vaa is an issue of a tree, who is in turn an issue of Tagaloa. As such it is to be treated with respect and deference. This is our tu and aga. The question arises, how does Samoan law and jurisprudence today, as currently practiced, consider this reference? Or to put it another way, how is this understanding of agavaa represented in what is declared Samoan custom in law today? I wish to end by reciting a karakia or Maori prayer and by posing a challenge to your respective societies. The Maori karakia or prayer was recited by Pouroto, my Maori guide, chosen to accompany me to Te Whare Wananga o Aotearoa in Whakatane when I visited the wananga in Aotearoa in 2004. He recited this prayer, a prayer of pardon to the God of the kawakawa tree, before he picked its leaves at my request. I recite this prayer because it underlines my point about how much we share in our Polynesian indigenous references. I recite it also as part of my parting words because it seeks your pardon for any presumptuousness on my part, and at the same time offers encouragement and blessings upon your deliberations over the next few days. There is within it an unfailing belief that there is continuity between our present and our past. Let it be placed upon, let it be debated, so that through this the life essence may come through strongly. My challenge is that in your deliberations over the next few days you take time to discuss the jurisprudential richness and vision carried within our indigenous words, words such as aganuu, agaifanua, agavaa, tulafono and tuā’oi, and their Maori equivalent. These words are core to our customs; our tu ma aga, and therefore by definition to our laws. I challenge you to see the dreams of our ancestors, of Afoafouvale and Rata, and to know how they can speak to you and to us, in your and our search for our islands. In 2007 after the funeral of my predecessor, His Highness Malietoa Tanumafili II, Filia and I went on a retreat for a week to meditate and gain perspective on the challenges that lay ahead. The retreat ended with a mass in which Archbishop Alapati gave a homily based on two questions posed by Christ to St. Peter. The first was: Peter, do you love me? The second: Peter, where are you going? Finding peace and direction is often premised on finding love. May the love and peace of Christ and our ancestors guide you to where you are going.